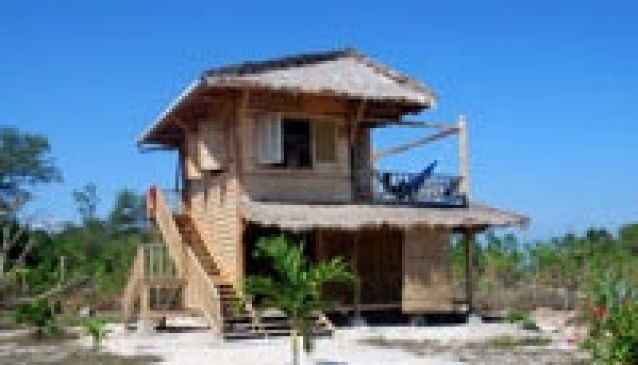 Sunset Gecko is a very unique eco friendly complex of natural island style bungalows. From a beach front wooden two-bedroom house, perfect for sunsets and stargazing, A- framed bamboo bungalows, to backpacker shared accommodation with separate showering and bathroom facilities, Sunset Gecko exudes a very natural ambience and charm. The beachside restaurant offers quality local and exotic food, along with amazing panoramas. Sunset Gecko is based on eco friendly philosophies, with their current practices including water recycling and rainwater collection, production of natural soaps, use of degradable detergents with many other projects in the making including production of solar energy.